Check out these magnificent cats in our 10 fab jaguar facts! 1. 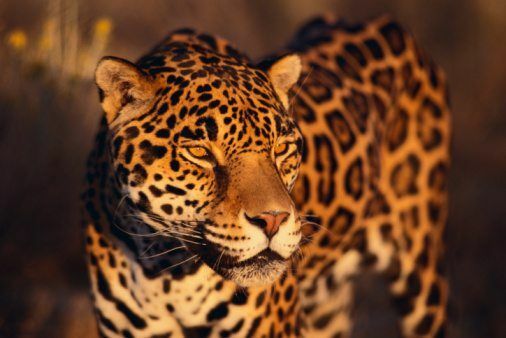 Jaguars are the largest of South America’s big cats and the third largest cats in the world. 2. At one time jaguars roamed all the way to the US-Mexico border, but jaguars are now only occasionally sighted in Texas and Arizona. 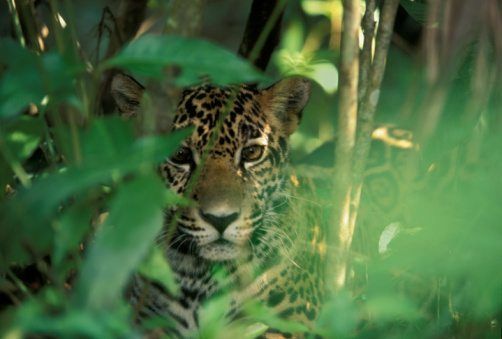 Most jaguars are found in the Amazon river basin. 3. The name jaguar comes from the Native American word yaguar, which means ‘he who kills with one leap’. 4. Their fur is usually tan or orange with black spots, called “rosettes” because they are shaped like roses. 5. Jaguars live alone and mark their territory with their waste or by clawing trees. 6. The jaguar’s scientific name is Panthera onca. 7. Jaguars are mammals. 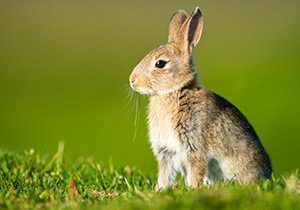 They are carnivores and eat a diet rich in meat and fish. 8. They can live to be 12 to 15 years old in the wild. 9. Adult jaguars weigh between 45 to 113 kilograms. 10. From the tip of his nose to the tip of his tail, a jaguar can be 240cm long. Loved our jaguar facts feature? Let us know by leaving a comment, below! Jaguar facts are so interesting. This was interesting because I love big cats. that was so cool about what it was talking about. Amazing! This helped me with my school project thank you! This is GREAT education for me! It has true facts and fun games! I love ,love, love this website! PLZ make more facts NG kids. this website is so coo, for learning about jaguars YAYYYYYY!!!!! I think this was really interesting and I loved reading it! LOL! SO COOL! LOVE IT! 10 OUT OF 10! this site is seriously not helpful!!! National geographic is so cool!!!! I would recommend this web for all animal lovers!!! I love all animals so this is a really good website for me . i am going to use all of these for school!! i might even make a booklet thanks to nat geo! p.s its my dads favourite channel! im so excited! im going to come here ALL the time!! I love fact three and six the best they are very interesting! I like the facts I am using them for my animal research project but I wish there was more facts though. I like the facts i will use them for school. Fact 3 is very intresting but how do you pronounce it??? fact 3 is really interesting! I you sed it for my homework and the etcher said mine was the best of them all! cheek out these amazing animals. I LOVE ANIMALS. Epic. Best website Ive ever seen! Thanks, that really helped with my homework! Jaguars are my favourite animal. They are awesome and I want to go to the Amazon rainforest because that is where they live and there are lots of other cool animals there as well. It helps me. Whenever its possible, I use this website. Its the best website in the world! jaguars are my favorite animal learned so much that why i am do a report on jaguars I LOVE JAGUARS! Thus a remarkable website! It has helped me so much with my homework! And teachers would be absolutely gobsmacked!Top marks! this was awesome . i did my homework and in record time. i got a merit! THANKS A BUNCH MOVED FROM FS TO AS!!! Thank you National Geo! I can feel an A rising in my grade! Away with Bs! this helped with my classwork research!what am i supposed to do without you? Pretty good for notes in class! 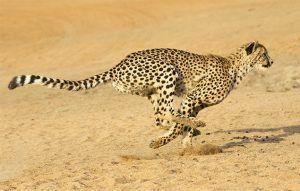 I think jaguars are cool because they are very fast runners and I like them. This is like the best.... website ever!!! Awesome! It really helped me with my homework with jaguars, where you have to come up with special features it has. You have to choose an animal and I chose a JAGUAR because its my fave animal! thanks so much it helped me so much with my homework. peace. this helped me soooo much. Thanks. This really helped me with my homework. it helped me with my homework alot!!! These facts were fantastic, and very interesting. doing my geography rainforest project, this web helped so much cheers! It helped me on my homework. do more over to you! This was really helpful and so cool. I LOVE JAGS!! t=THEIR MY FAVE, IT HELPS ME ON MY SUMMER HOLIDAY FACT FILE ALOT!!! LOL! Perfect for my homework about animals. You are the best!!!!!!!!!!!!!!! This website helped me out a lot with my Rainforest topic. Best site yet!!!!!!!!!! So AMAZING!!!!!!!!!!!!!!!!!!!!!!!!!!!!!!!!!!!!!!!!!! This helped me do a project on Jaguars. Thanksss!!! when i finished using some info from here i got a distingtion! OMG LOVE THIS WEB SITE GREAT FOR HOMEWORK THANKS ! This helped me with my homework so much !! This is amazing great facts!!!! Number 1 website I hav ever been on :D I want to make my own website like this because its so cool! I LOVE IT HERE! WOW! THIS WEBSITE IS GREAT!!! Helped me alot with homework! This webseit helped me with my Talk on the jaguar.Thank you!!! Life saver! my teacher would have not been happy. good use of information helps tell us about big cats!!! That was axtiolly pretty nice I wrote it about too . thank you verry much. This helped with my homework a lot !!!!!!!!!!!! i love to learn about jaguars how what when were everything. I love jaguars!!! helped me with my homework too. this site just helped me to do all my homework THANKS!!!!!!!!!!!!!!!!!!!!!!!!!!!!!!!!!!!!!!!!!!!!!!!!!!!!!!!!!! 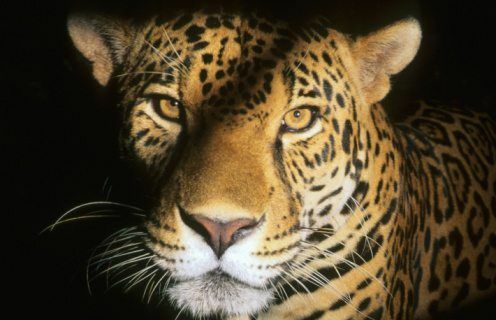 i adopted a jaguar from wwf there are cool but we need to help save them. 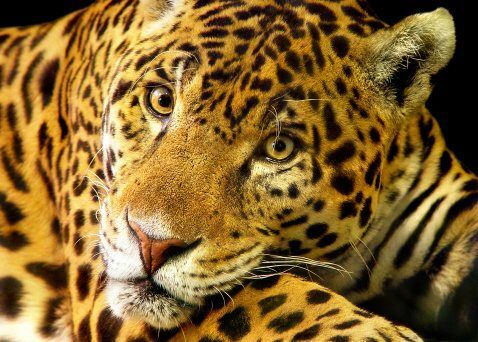 Jaguars are my favourite animal in the wold!! this website is so helpful! 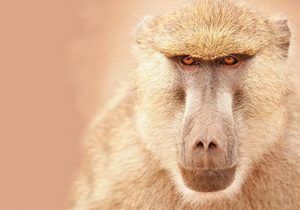 Meet the awesome animals of Malawi! 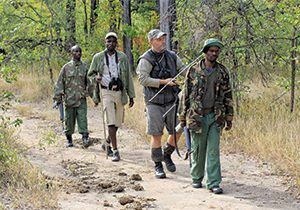 NG KiDS gets up close and personal with Malawi’s incredible wildlife! Meet one seriously fierce, fast and fur-ocious feline with these fascinating cheetah facts!